Merry, merry, merry. 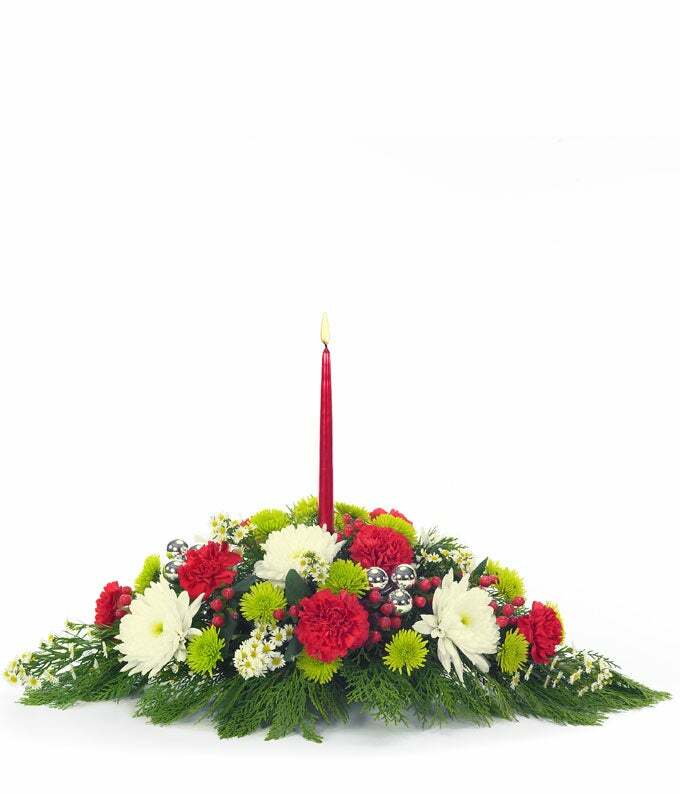 Family and friends will immediately catch the spirit of the season when they see your table adorned with this classic Christmas centerpiece with mums, carnations, button poms, Monte Casino and hypericum...accented by traditional ornaments and a red metallic candle. Measures 8"H by 26"L.